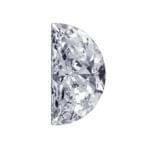 What are the Types of Diamond Shapes? 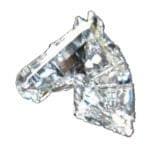 Diamonds are available in a variety of shapes, ranging from traditional cuts to the more unconventional, such as half-moon, star, trapezoid, or even horse-head shaped stones. 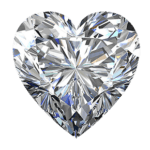 Every individual has a particular style, and Olschwanger Designs can help you choose a unique diamond to match your loved one’s personality. 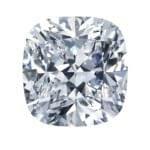 We cater to each client’s individual tastes and preferences and are committed to finding the right stone for you. Beauty may be in the eye of the beholder, but our clients agree that every Olschwanger stone is exquisite. 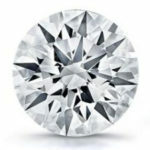 Round: Round, brilliant cut diamonds often provide more options for the balance of the cut, color, and clarity while promoting fire and brilliance in the diamond you choose. 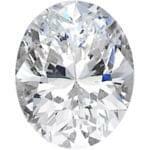 Oval: Traditionally, oval diamonds have length-to-width ratios between 1.33 and 1.66. Oval shapes have much in common with Round shapes and a proper length-to-width ratio can greatly enhance the look of the diamond on a person’s hand and fingers much like the color of clothing as compared to skin tone. 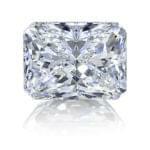 Princess: Found in great quantities among engagement rings, the Princess shape is an impressive non-round stone. 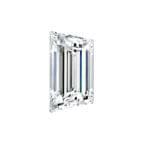 Because of the sharp 90 degree edges yielded in a Princess cut, light can create a visible color in the corners that may be, to the visible eye, lower than it’s actual grade. It is important to consult your designer to create a balance between what is visible and what is the reality. Emerald: Emerald shaped diamonds popularly highlight the clarity of a diamond. 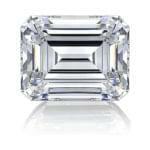 The Emerald cut also features facets cut in a rectangular step-cut shape to create a splendid appearance. With the Emerald shape, be sure to choose a length-to-width ratio that matches your hand and finger length. 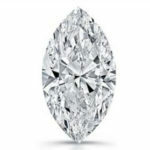 Marquise: Marquise is the elongated and “pointed” sister to the Oval, sometimes referred to as a “football cut” because of its shape; traditionally has a 2 to 1 length-to-width ratio. 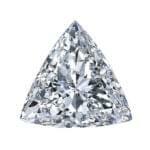 The shape accentuates the actual weight of the diamond and presents itself as larger than it is in truth. 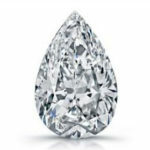 Pear: The Pear shape diamond’s unique shape gives jewelers the opportunity to use it with many different jewelry pieces. The Pear shape is also called the “teardrop” because of its top-view shape when the pointed end is up. Heart: The Heart shape’s popularity is evident both inherently and overtly in jewelry pieces. 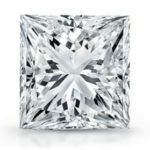 Like the Princess cut, the closely curved corners can cause visible color and should be discussed with your designer before choosing the perfect Heart shape for you. 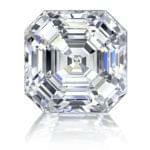 Asscher: The square ” little brother” to the Emerald shape, the Asscher features facets cut in a square shape to highlight the clarity of a diamond. 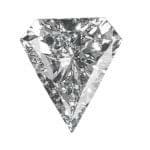 Radiant: A Radiant shape is a brilliant diamond featuring short-cut corners and varying length-to-width ratios from square to more rectangular. Cushion: Cushion is an age-old choice and often referred to as Pillow shaped. Like the Radiant shape, the varying length-to-width ratio ranges from square to rectangular as does it’s brilliance in highlighted clarity. Olschwanger Designs provides a tangible passion for creating “works of art” for every client. Call to set up a consultation today at 972-458-8352.